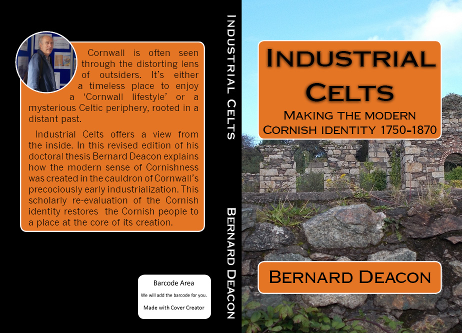 Industrial Celts explains how Cornwall’s early industrialisation produced a unique society and a distinct regional culture. Socially, Cornwall became home to a dispersed paternalist society. In economic terms, it was based on mining and merchant capitalism. Culturally, it was dominated by Methodism. 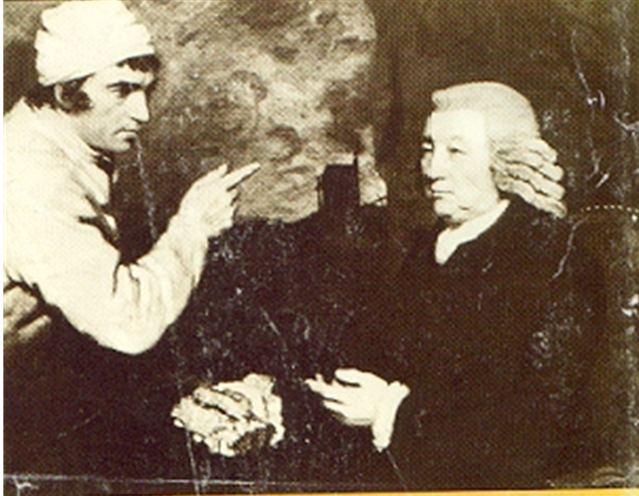 The twin symbols of mining and Methodism became central to a sense of Cornishness, encapsulated in the popular dialect literature that flourished in the mid-1800s. At the same time, identification of the Cornish as Celts became more widespread. That self-description had been recognised by Cornish historians as early as the 1700s and did not have to await either the later ‘Cornish Revival’ or romantic, metropolitan dreamers. Moreover, early de-industrialisation and mass emigration meant that Cornwall’s rural industrial economy and society retained material differences well into the twentieth century. However, the sense of identity produced by its industrialisation had its limits and proved incapable of competing with more powerful territorial discourses. Industrial Celts, a revised and more accessible version of my doctoral thesis, restores the importance of Cornwall’s industrial period to the modern sense of Cornishness and is an essential addition to the corpus of scholarly work on Cornwall’s past. Chapters 1 (Identity and territory) and 2 (Cornwall, Cornishness and the academy) set the theoretical stage by reviewing how historians and geographers have approached the general issue of territorial identity and the specific territory of Cornwall. Chapter 3 (Images of Cornwall and its people) illustrates some of the ways both outsiders and insiders represented Cornwall and the Cornish in the late eighteenth and early nineteenth centuries. It also assesses the role of the Cornish language and Cornu-English dialect in the creation of the industrial region. Chapter 4 (Cornish consciousness) summarises how some of the Cornish saw themselves and estimates how far a sense of identity was present during this same period. Chapter 5 (Social institutions and elites) looks at the role of formal institutions, such as literary institutes. It then examines two social groups produced by Cornwall’s industrialization: its merchant elite and the new middle class of mine captains. Chapter 6 (Mines and Mining) provides a framework for thinking through Cornwall in its industrial period, comparing its industrialization with other regions of the UK. Chapter 7 (People on the move) delineates and quantifies patterns of migration in the nineteenth century, both within Cornwall and overseas. It discusses the creation of new ‘Cornish’ communities and their effect on the Cornish identity. Chapter 8 (A society of dispersed paternalism) introduces the concept of dispersed paternalism to describe the social relations of industrial Cornwall. It questions whether Cornish labouring communities were as exceptional as claimed, but also suggests that early industrialization produced a unique rural-industrial society. Chapter 9 (Cultural formation: the role of Methodism) investigates why Methodism was able to dominate Cornwall’s religious life after the 1810s. It provides an in-depth analysis of the 1851 religious census and discusses the effect of a revivalist Methodism on the regional identity. Chapter 10 (From proto-region to proto-nation?) identifies the limits of the regional identity produced in the course of Cornish industrialization in the context of its relations with other territorial discourses.